Registration - Prestige Pet Products Pty. Ltd.
Would you like to become a stockist of our quality products that pets love? Welcome to Prestige Pet Products Pty. Ltd. 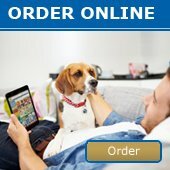 Thank you for your interest to stock our quality products that pets love. Prestige Pet Products conduct research on your registration prior to offering a trade account and our company reserves the right to refuse any registration. If however you receive a Trade Application and this application is approved we will notify you with your log in details for our website. This will give you access to our products/pricing/ordering and payment options. All trade accounts are to trade with payments upfront. Prestige Pet Products Pty Ltd reserves the right to amend our trading terms and conditions at any time. The receipt of a Trade Application does not guarantee the opening of an account and Prestige Pet Products reserves the right to refuse any application. Our Customer Service Department is dedicated in providing the very best service to our valued customers and we welcome feedback so as to improve our services regularly.